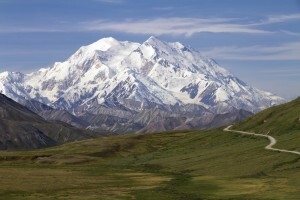 Still called its original Athabaskan name, Denali, by locals, Mount McKinley hangs above the park more like a permanent cloud than an extension of the earth. Denali National Park and Preserve protects more than six million acres of wild interior Alaska. The south side of the reserve is dominated by the mountain and its acolyte peaks in the Alaska Range, while to the north the park includes a vast range of taiga and tundra lands, home to a wealth of animal life. Many think that the massive 20,320-foot summit of Mount McKinley is the reason behind the park's establishment, but it is not. Denali National Park started out as a game refuge before growing into a mountain refuge and was named Mount McKinley National Park when first established in 1917 by presidential and congressional order. President Jimmy Carter declared the park an international biosphere reserve in 1976, and the name change occurred in 1980 as the park's boundaries were expanded, tripling its size to allowing it to contain more winter grazing grounds for caribou. A landscape of stark contrasts in more ways than one, Denali National Park in Alaska also represents an important and controversial step in the evolution of the very idea of national parks – subsistence hunting. The enlargement legislation of 1980 allowed for traditional users, both native and non-native, to continue their use of wildlife in the expansion, and also accommodates sports hunting and other activities on certain portions of the expansion lands. The integration of human predation into the park scene has been a fascinating twist in the saga of Alaskan park management. 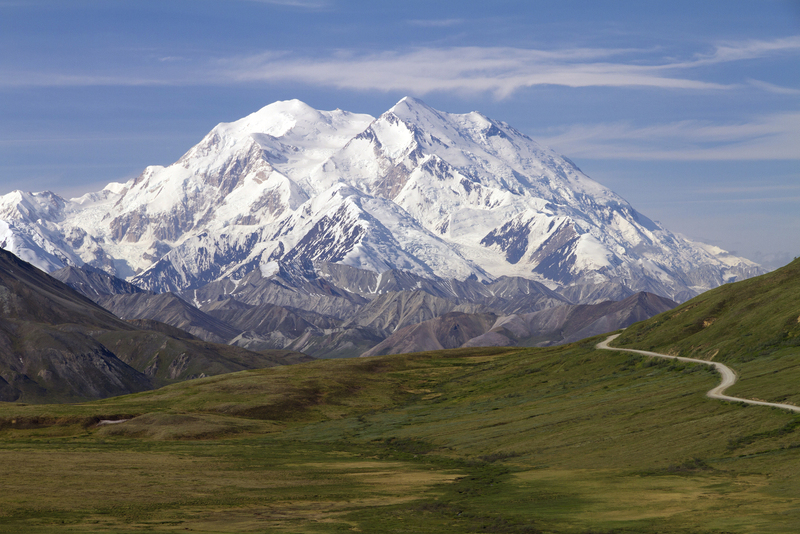 Denali has also pioneered an impressively nonintrusive style of visitor experience. The park's major road is open for private vehicles for only the first 15 miles. From there, traffic is limited to the generous system of shuttle buses that cruise through mile after mile of wild Alaska. The VTS, or Visitor Transportation System, is designed to help preserve the park's wonders for generations to come and reduce traffic congestion and pollutants. These are not guided tours, merely transportation to Toklat, Eielson Visitor Center, Wonder Lake, and Kantishna. These are common starting points for the various activities and excursions in Denali National Park. Using the system is the only way to traverse the park in a motorized vehicle, and services operate from late May to Labor Day. Whether seeing the Dall sheep, mighty caribou or moose, or spotting the awesome grizzly is on the agenda, there's no better way to experience the best of Denali than through the various tours offered by the park itself and outfitters and guides. Whitewater Rafting – Experience the bounties of the Nenana River with a gentle Wilderness Run traversing 13 miles of the river, or get wild with class III and IV rapids on the more exhilarating Canyon Run or Paddle Run. Whitewater rafting in Denali awakens one's sense of adventure. Denali National Park Bus Tours – There are literally dozens of Denali Bus Tours to choose from including full-day wilderness tours that trek deep into the backcountry of Kantishna and Natural History or Tundra Tours. Many tours include snack or lunch and entry into the park and feature knowledgeable, expert guides from the park. Denali By Air – Denali Helicopter Tours and Heli-hiking Tours are very popular options and offer visitors the best views of Mount McKinley and the entire Denali region. Choose to ride along or bring some skis for the ultimate backcountry skiing adventure, not for the tame at heart. Mountain Biking Denali – Many don't let the lack of vehicular access slow them down; they simply bring their own mountain bike and use the transport system to get them to the best starting points or bring them out of the park after a day of mountain biking. Fly Fishing Denali – Try your luck with the trout in the streams and rivers on your own or join up with a group of anglers and expert guides with a fly fishing expedition in Denali. Equipment is typically provided as part of the journey as is transportation to the hot fishing spots. Dog Sled Excursions – Many outfitters will let visitors mush their way through the backcountry under expert guidance. As one of the park's most unique activities, early reservations are recommended. Several remarkable lodges near Denali National Park and Preserve are available year round. One family favorite lodge near Denali is the McKinley Village Lodge, which offers onsite dining, two coffee shops, and complimentary shuttle service to most of the parks tour attraction depots. Those looking for Denali National Park lodging super close to the entrance will love the Denali Bluffs Hotel while those looking for Denali lodging along the historic Stampede Road will want to check-in at the Earthsong Lodge and its cozy cabins.